"The Trauma of Violence and Our Broken Communities"
Chicago Magazine recently ran a great piece by the producer of The Interrupters, Alex Kotlowitz, titled, "The Trauma of Violence and Our Broken Communities." 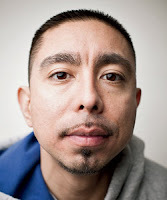 The essay reflects on the trauma that communities plagued by gun violence experience, using the example of Chicago Ceasefire Violence Interrupter, Eddie Bocanegra (Eddie was one of the central characters in The Interrupters), who draws parallels between the Post Traumatic Stress Disorder (PTSD) his brother experienced after coming home from Iraq and the trauma he sees in those affected by violence in Chicago. Kotlowitz concludes with a stark reality check, but leaves us the hope for change and healing with the help of programs like Ceasefire. You can read the whole essay here. "I think about the family of the six-year-old girl who was fatally shot last week while sleeping on the living room couch, and about the family of the 13-year-old-boy who was shot playing basketball. And I think of their friends. And of those who witnessed the violence, those like Vanessa and Pharoah. We make the mistake of thinking that somehow people move on, that people get numb to such brutality. But they don't. And yet outside of having someone like Eddie, there's really nowhere to turn. This is the untold story in parts of our city: communities and a people sapped of their spirit, communities and a people back on their heels." On Saturday, August 20th, S.O.S. hosted our second annual Lead By Example basketball tournament and community event at St. Johns Recreation Center. The scores were close and the competition was fierce as the guys and the girls teams battled back and forth, trading point for point. By the end of the day, the winners were decided, fun was had by all, everyone was fed, and hundreds of Crown Heights community members learned about the work S.O.S. is doing to reduce the shootings and killings. 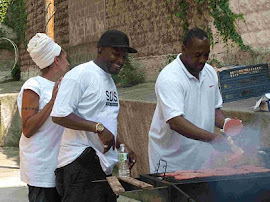 Overall, we served over 300 hamburgers and hotdogs, distributed 165 swag bags filled with S.O.S. material, gave away 96 'I Support S.O.S." tee shirts and signed up an additional 16 new volunteers. Thanks to everyone who came out and made the event such a success. A special thanks to our volunteers; we couldn't have done it without you. Volunteers manned tables, distributed literature and served food and made their presence known through interacting with the crowd. If you would like to become an S.O.S. 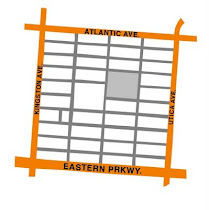 Volunteer, the next training will be Wednesday, August 31st, 5:30-7:30pm at our office. Call 718-773-6886 and ask for Vanessa or Micah for more details. Come out and support the guys and girls teams ﻿at our second annual Lead by Example basketball tournament this Saturday, August 20th, 12-5pm at St. John's Park. This summer, our Americorps intern Sasha Klimczak has been hard at work compiling a resource guide of GED classes available to Brooklyn residents. This list was updated in August 2011 and includes classes that start in September as well as classes that are ongoing. Each post has the contact information as well as basic information like types of classes, when they are, how to register, and the cost. You can download our GED Resource Guide by clicking HERE, or you can pick up copies at the Mediation Center. If you have any questions feel free to call the number of the specific program or call us at the office at 718-773-6886 for more help. S.O.S. and our sister youth project, YO S.O.S. are looking for candidates to fill four positions. Qualified candidates are encouraged to apply as soon as possible. Please click the links below to read the full job descriptions for the positions. Refer to each job description for directions on how to apply and deadlines. What does it mean when we say the S.O.S. team members are credible messengers? 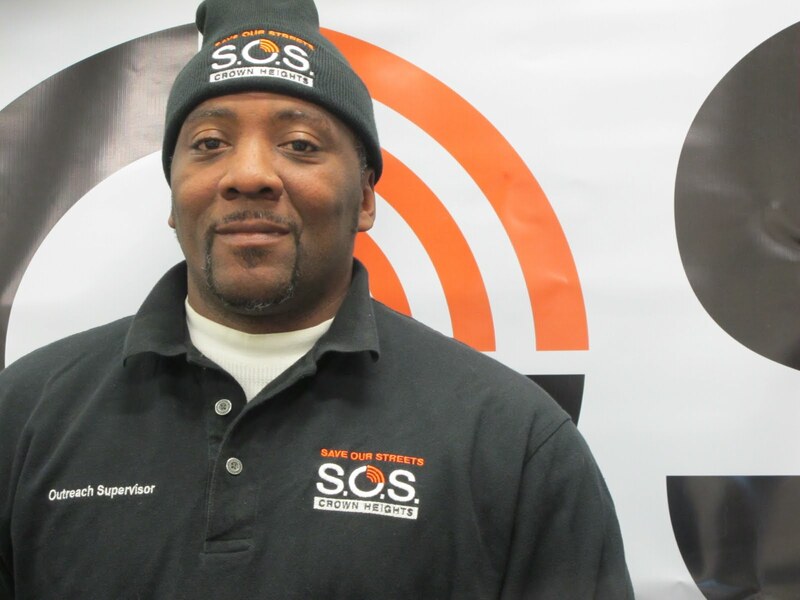 Rudy Suggs shares a story of how his reputation on the streets helped him to reach a young man who needed help finding a different path in life. A few months ago, a woman I knew from when I was out on the streets came to me and told me that her son had been locked up for guns and a robbery charge. She wanted me to talk to him. She came to me because she knows that I’ve changed my life and she wants me to help him do the same. So I started talking to him. It hasn’t been easy. He was apprehensive at the beginning. But now he’s coming up to me when he sees me and talking to me—and that’s not something he does with everybody. I’m trying to be a friend, first of all. But ultimately I want him to change his thinking. I want him to understand that when he pulls a gun, there’s so much hurt behind that action. And he’s told me that he wants to put down his gun and stop robbing people. But it’s not that easy. My reputation goes a long way in helping me reach out to high-risk individuals in our community. This young man’s mother came to me because she knows the path I’ve taken in my life and that I’ve successfully changed my ways. And her son has opened up to me because he sees that too. That’s how I’m able to use my past and my experience to help other people change their lives and their behavior. Special thanks to Jonah Newman, Editor-In-Chief of The 195, for compiling this story. Many people are interested to know what the work of an S.O.S. Outreach Worker actually entails on a day-to-day basis. What follows is a first person account from our own Achisimach Yisrael about his most memorable mediation with S.O.S. My most memorable mediation is also one of the most recent. It was back in June, and a 14-year-old boy in our community had just been murdered. Our team was getting ready to go to his funeral. Outside the floor-to-ceiling windows of our storefront office, we saw a group of close to 100 young men approaching from the direction of the church where the funeral was taking place. They weren’t breaking stride for no one or nobody. We saw the looks on their faces: the look was of revenge. Our team sprang into action. Half of us went to the area where they were headed—where they hoped to find the people they thought were responsible for their friend’s death. The other half of us followed the group. Out of the crowd, we recognized young men who we had worked with before. Although we were outnumbered 15 to 1, we tried to talk them down, to cool them off. “How many of you are fathers?” I asked. “Are you ready to leave your children?” Our goal in a mediation is to get people to reflect on the loved ones who will be impacted in the long-term. We want them to think about those things that are usually lost in the heat of the moment. Eventually, we were able to turn them around. We prevented a retaliation, which could have led to more retaliation and more killing. Our success stemmed from the rapport that we had established prior to this incident. Our ability to prevent violence is dependent on our ability to be credible messengers, to build trust and establish dialogue. This mediation stands out in my mind because it’s a testament to the work that we’ve done to successfully establish ourselves as leaders in our community. On August 5th, S.O.S. 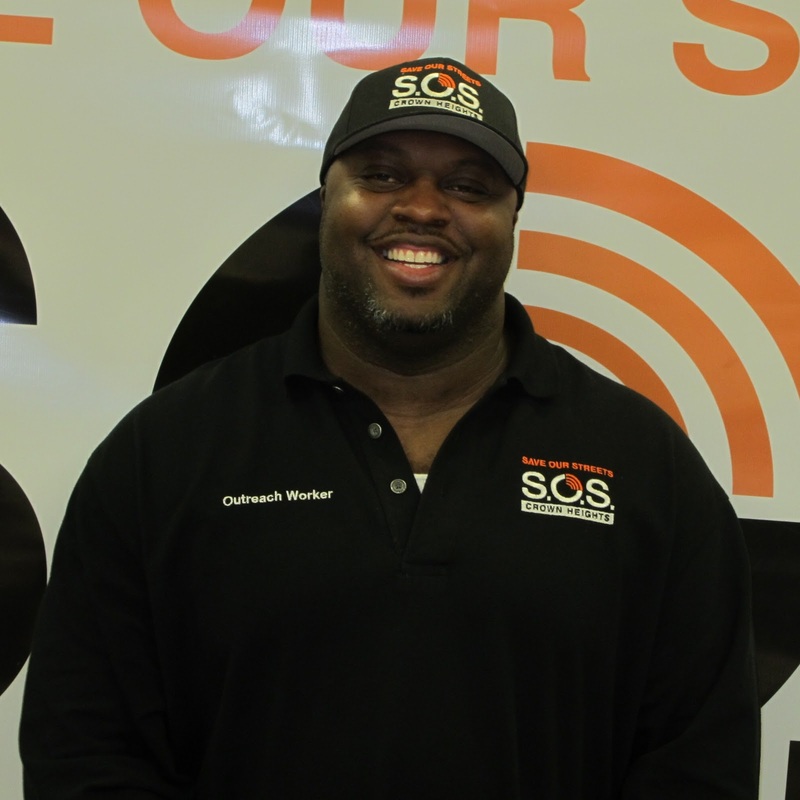 staff member Lavon Walker and Crown Heights Community Mediation Center Deputy Director Ife Charles appeared on NY1's Inside City Hall to talk about the work S.O.S. 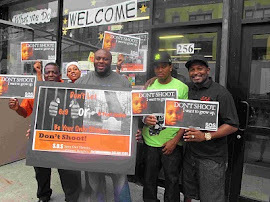 is doing to stop the shootings and killing in Crown Heights. The segment discussed the new documentary, The Interrupters, that tells the story of three "violence interrupters" from Chicago's Ceasefire program, and how S.O.S. is doing this same work in Crown Heights. You can watch the full segment in the videos below. 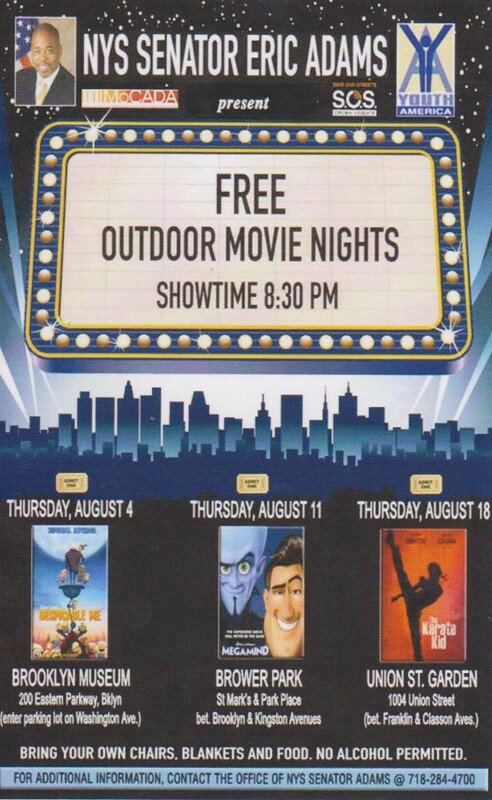 Come join S.O.S., Senator Eric Adams, Youth America and MoCADA for a screening of the family film, Mega Mind in Brower Park next Thursday, August 11th, at 8:30 pm. This past Friday night, the S.O.S. team was at the IFC Center in Manhattan for the premier of The Interrupters; a new documentary chronicling the story of three "violence interrupters" from Chicago's Ceasefire program. After the screening, the New York Times was on hand to ask the S.O.S. team about how their experiences compared to those features in the film. Read the story here: New York Times: Interrupting Violence, on Screen and on the Streets. After a big opening week at Manhattan's IFC Center, The Interrupters begins a week long engagement at Harlem's Maysles Cinema this Friday, August 5th. In addition, screenings at the IFC Center have been extended through August 11th. Attending Friday's 7:30 PM Maysles Cinema screenings will be Harlem's own violence interrupters, Operation S.N.U.G. 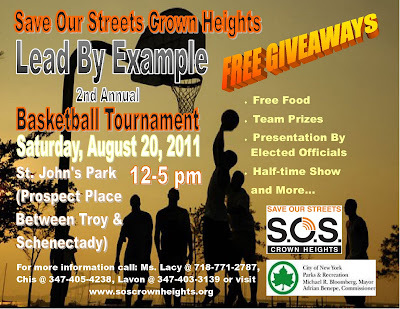 from The New York City Mission Society, as well as Save Our Streets Crown Heights. Seating is limited, so buy your ticket now for Friday or any other of the screenings throughout the week. For more information about The Interrupters at Maysles Cinema, please contact mayslesinstitute.org. From producer/director Steve James and author-turned-producer Alex Kotlowitz, The Interrupters tells the moving and surprising story of three “violence interrupters” in Chicago who with bravado, humility and even humor try to protect their communities from the violence they once employed.